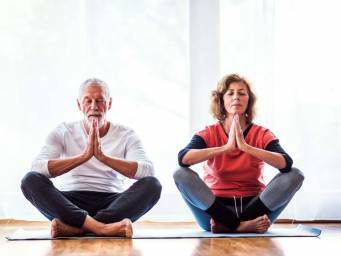 Practicing simple mind-body therapy for 12 minutes per day can alter potential biomarkers of Alzheimer’s disease. The team also carried out experiments on another common model of Alzheimer’s disease, the worm Caenorhabditis elegans . These showed that treatment with alpha sheets of synthetic peptide was able to delay paralysis due to beta-amyloid.